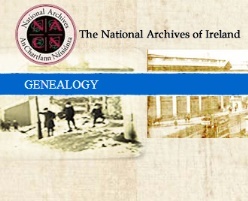 Genealogist John Grenham MAGI has kindly provided Irish Genealogy News with a progress report on the National Archives of Ireland's project to scrutinise researcher-submitted corrections to its online census database. He has now cleared 64% – more than 65,000 emails – of the backlog that's accumulated since the census returns went live on the NAI's Genealogy website. It's a huge figure, but it doesn't accurately reflect the number of corrections made. As John explains: "Because many of the emails suggest corrections to more than one record (and often more than one correction to the same record), I've checked 162,224 suggestions. They break down as follows: 44% accurate, 37% duplicate, 18% inaccurate and 1% other." Since John's been slogging through the backlog, he's come across many delightful and weird mistranscriptions. His recent favourite if that for Joseph Coldfarb of Derry. "He was Joseph Coldfart for seven years, until just yesterday. Sometimes I feel a pang of regret at the wonderful names I'm correcting." More than 71,000 corrections are now live. It's important to remember that while other online databases offer access to the Irish Census, John's corrections are being applied exclusively to the National Archives' transcript. John is hopeful the project will be completed in early summer next year.